Allen-Bailey specializes in heavy-duty custom tags and labels that meet the unique needs of industrial and agricultural businesses, as well as producing tags for fire extinguisher service and maintenance. They also serve the hospitality, service, and retail markets with both stock and custom tags. 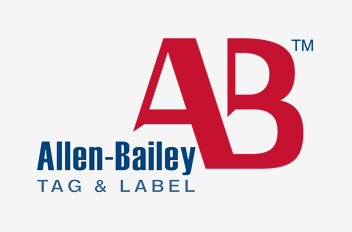 With more than 100 years of experience in the print industry, Allen-Bailey Tag & Label prides itself on the expertise and service they provide to customers.